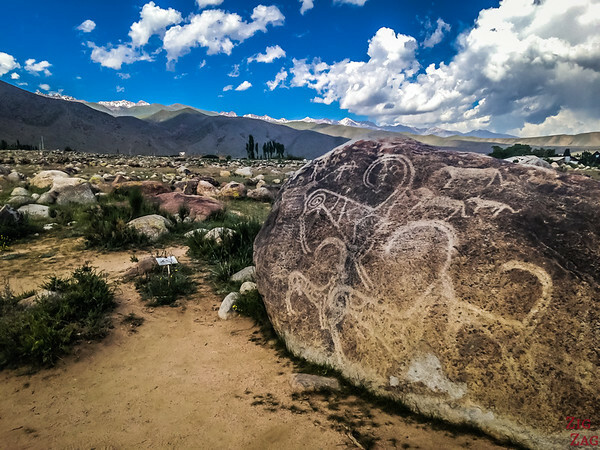 Beautiful mountains, the lake as a backdrop and 4000 year olds petroglyphs: Cholpon-Ata is definitively a place to stop while touring the large Issyk-Kul lake, Kyrgzystan. 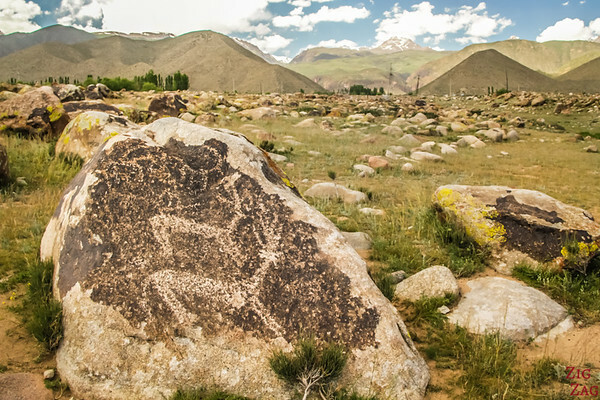 Kyrgyzstan has several sites with ancient petroglyphs. 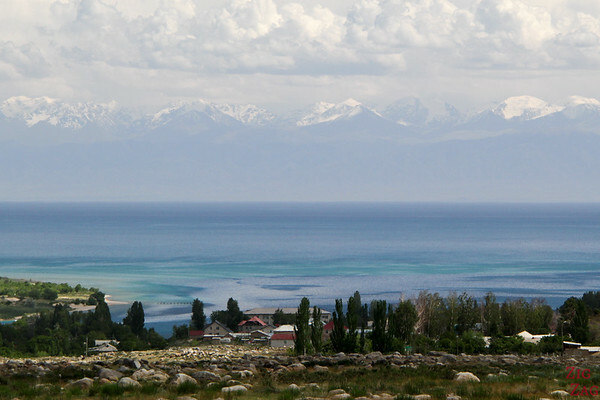 Cholpon-Ata is the most accessible one which also makes it the most degraded. Although called Museum, don't be surprised it is an open air field. 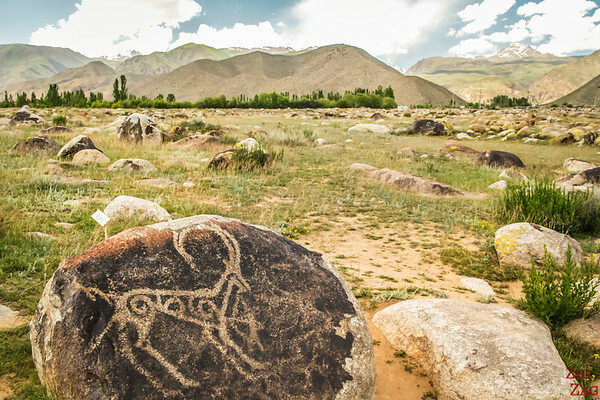 The site is kind of enclosed on the hills north of the Issyk-kul lake and the petroglyps depict the hunting of deer, snow leopard and ibexes.​ Most date from 2000 BC to 400 AD. And many stories surround the site about why it is there and what its function was. 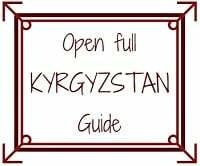 Sadly, as of June 2015, there are no explanations at the site. 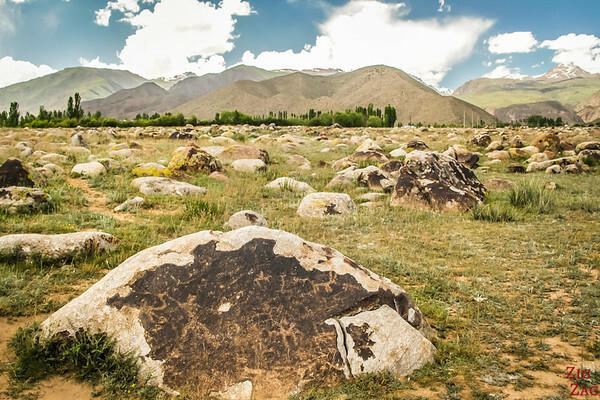 Kyrgyz are still new at Tourism, so hopefully it will be added in the coming years. 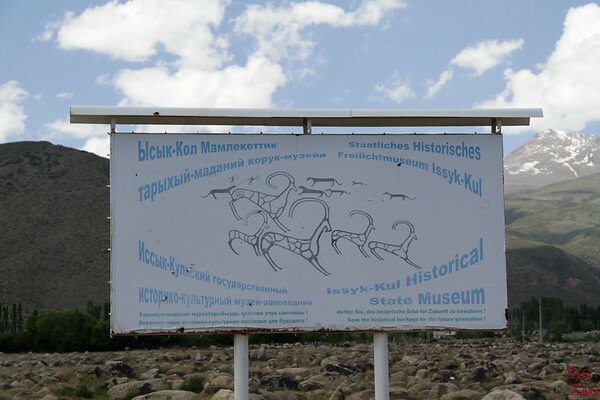 Right next to the entrance, is the main rock of the site with many drawings including snow leopard! It was fascinating to look at and reminded me of my visit to the Namibian rock engravings at Twyfelfontein. Sadly, visitors are not very respectful of the place and as we walked in a group of tourist was taking a picture with it on some where standing on it…​ So I am not sure how long they are going to remain. As you can see this is a big site with thousands of rocks. It is fun to go for a walk and search for them. Some are indicated with little signs but others are not. It really feels like a treasure hunt, although sometimes you really wander what they were drawing. Have a look at this hunting scene! 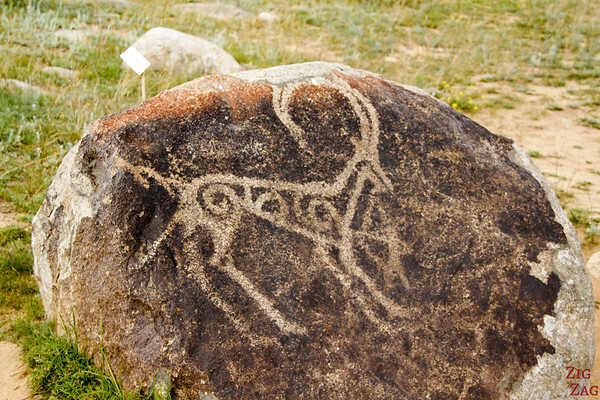 This petroglyph was my favorite. I like how sharp the ibex is. 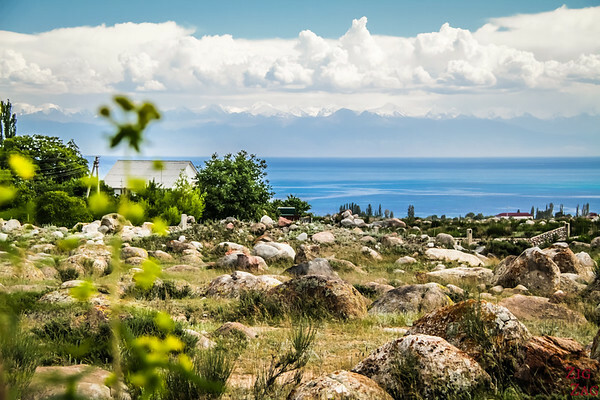 The other things I really liked about the site was to be able to get a good view of the lake. For most of the northern shore road you don't see it that much so I was very excited when we arrived at the location which is a bit higher than the lake. 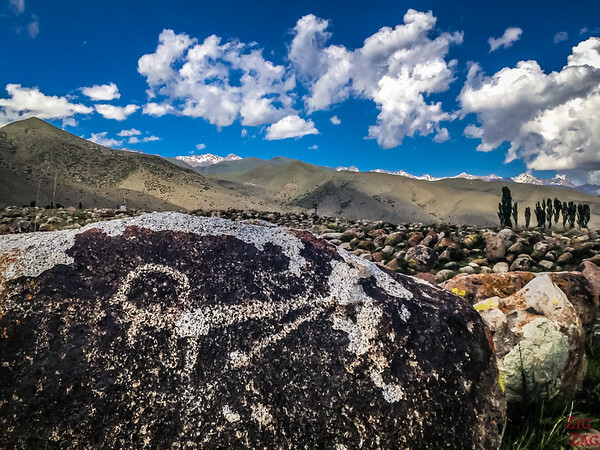 Have you ever seen petroglyphs? Where?